Choose the Swingline CX30-55 cross-cut shredder, which turns a single letter-size document into 332 individual pieces. Ideal for moderate security needs like mail-in documents with personally identifiable information. The sheet capacity of the CX30-55 is 30 sheets, and the waste-bin holds 55 gallons of shreds. It even shreds CDs and credit cards, all while remaining ultra quiet! The continuous-duty operation and jam stopper technology lets you easily power through even the biggest jobs. The Swingline CX30-55 is durable, reliable, and designed to withstand heavy long-term use. It's even eco-friendly by means of an energy-saving power save mode with auto wake-up. The CX30-55 comes with a lifetime warranty on the cutting blades and a 2-year warranty on the machines including 2 years of on-site warranty service. 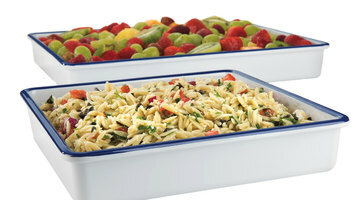 The CX30-55 is made in Germany and is TAA-compliant. These features and more make the CX30-55 the right choice for your toughest shredding needs! Protect information in your business with the help of a strip-cut shredder from Swingline! Able to work both quickly and efficiently, this is a great device to have in any commercial office setting so you can safely get rid of old or unwanted documents. 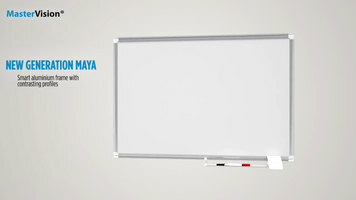 Great for offices, classrooms, and conference rooms, watch this video to learn about the many features the New Generation Maya whiteboard by MasterVision has to offer you! 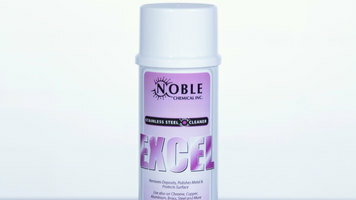 Learn how Noble Chemical Excel can be used to in your business to polish and shine your stainless steel surfaces!